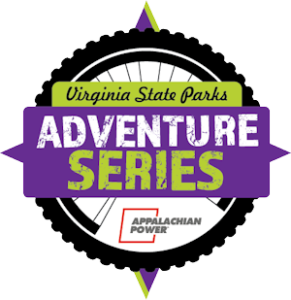 Register for the Guts Gravel Glory (GGG ) today! We will be racing again on the Bright Hope Equestrian side of Pocahontas. This allows for easy parking and set up right on the course... no more hiking a mile plus to the course! There is plenty of room through transition for team tents and your personal support. You will pass the transition every 10k. This is a dirt road/gravel race with a bit of double track. CX or mountain bikes work well! The loop is 10k in distance. A cyclocross or mountain bike would be best suited for this course. This event will be chipped timed! Chip will be placed on your race number. During registration you also can activate result notification. You can receive results shortly after you finish via email/text. The 50 mile event this will be run true CX style. For the 50 mile race, the race is over once the race winner is finished (all racers will complete their current lap). Therefore, if you stay on the lead lap you will ride 50. If you are lapped twice, you will be finished at about 38 miles. A countdown lap counter, that will be adjusted with the race leader, will be at the start/finish to help you know where you stand. All racer will be credited with finishing the race even if they finish one lap or all 8. We will post number of laps (miles) and finishing time. The short race will be 3 laps for all entered. Located near the completion of each lap, we will have a water station set up. This will be a place where water can be refilled and bottle hand-ups will be allowed (bring a friend or teammate to hand you your stuff). We will not have volunteers there to give handups, so you should bring support if you will need assistance with water refills.